..is something I refuse to conform to stereotype and do. But it's not been as warm as it was and I've been spending more time indoors reading than out wandering around. They were all good, but I'll start with the one I picked up last, The portrait of Mr W.H. by Oscar Wilde. Beguiling is the word I think. I doubt I’d normally be able to care much about any theory regarding who Shakespeare wrote his sonnets to/about but the framework of the story and the obsession and the writing pull you along in the enthusiasm and you begin to see why the anonymous narrator believes in it (and why he wants so much to believe. No wonder Wilde was advised not to publish, it’s too personally revealing)*. The book I read just before it was E M Forster's Aspects of the Novel, which was originally delivered as a series of lectures. The first chapter should be compulsory reading for certain journalists and other compulsive writers of pointless lists of pointless facts. I don't agree on all points with what Forster thinks a Novel should be, or even on what it is, but that's not the point. The point is it got me thinking about, and gave me a better understanding of, authors I can't enjoy as well as those I can. The Quiller-Couch is also a series of lectures. The first of which is about Byron, who seems to be having something of a low ebb in popularity when the lecture is given. (The book was first published in 1922, and there’s a rather touching foreword apologising for the roughness of the lectures but thanking Heaven for the reason – the ending of the first world war and the 'refluence of youth' back to the universities). I do wonder how much of the appeal of these kind of books for me is literary and how much based in my interest in history. 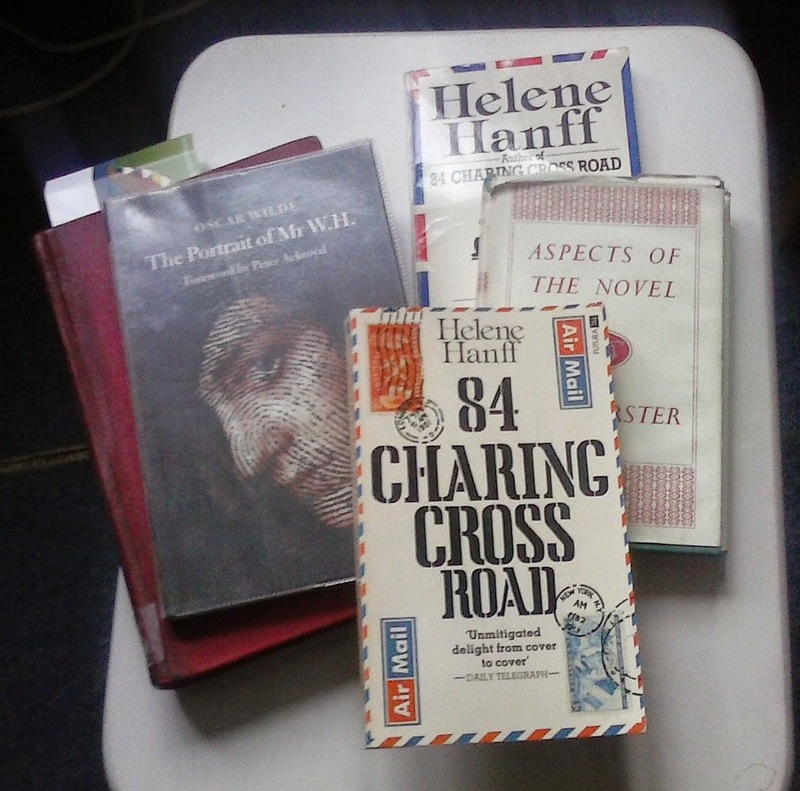 Q was brought alive for me by Helene Hanff. Wilde and Byron are known, of course, by people who never intend to read their work. Q has his own criticisms of Byron but takes exception to his being vilified for being ‘An evil man in an evil age’ and quotes Macaulay on the occasional fits of public morality that make a scapegoat of a man no worse than many others. I was curious about whether he had anything to say on Oscar Wilde, but a quick google shows reminiscences of them often meeting for lunch in La Belle Sauvage, and working in parallel if not together, so perhaps that would have been inappropriate, or even dangerous. Avoiding the obvious parallels of public adoration, reaction, and early death that haunt the histories of Wilde and Byron (which I’m sure someone somewhere has written a lengthy thesis on and therefore need not, as Q might say, detain us here) I’m especially struck by the amount of poetry in both the books I’m reading. I don’t normally read a lot of poetry, and when I do read it I have to read aloud, or at the very least slow down and consciously sound the words in my head as if I was reading aloud, otherwise I can’t catch the rhythm. The next logical step in this chain of course is for me to read Byron and the Shakespeare sonnets, but that, frankly, is a far more time consuming task for far colder weather than this. *This review also posted to the Guardian books blog. So apologies for that. The internet has enough repetition without me adding to it.